Your brain is pretty smart. It has evolved over millennia, with a single goal: to keep you alive. No matter how smart we think we are, our brain is essentially an instrument that shapes itself to a form that enables us to cope. So, you have coping skills, you might not recognise them, but you have them. 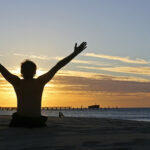 Eustress: Can Stress be Positive? Stress is and always has been perceived as a bad thing. But did you know that stress can actually be a positive force that can increase our productivity and performance and bring happiness and a sense of well being? Just as there are two sides to every coin, stress can impact us in positive and negative ways. When it impacts us in negative ways we call it distress and when it impacts us in positive ways we refer to it as Eustress. Eustress was named so by the endocrinologist Hans Selye, who used the the Greek prefix “eu” which means “good” to coin the term. 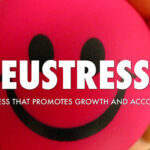 Hence the name Eustress or “Good Stress”. Stress is the bane of modern civilization. Today, stress is no longer just a ‘fight or flight’ response to danger. It continues to unfold even long after the danger has passed. One of the most common stressors is job-related. Ask anyone and they’ll tell you they have the most stressful job in the world. But in reality, not all jobs are stressful. Stress is a part of everyday life but that doesn’t mean you can ignore it or live with it all the time. Repeated exposure to stress often leads to high blood pressure, cholesterol, diabetes, and depression among other diseases and disorders. You can protect your health from stress-related disorders by doing some simple stress management activities and exercises that can instantly bring down your stress levels and leave you feeling calm and relaxed. In today’s modern world, what with our daily work commutes, busy work schedules, stressful jobs, financial concerns and social media frenzy, its hardly surprising that we carry a great deal of stress all the time. The effects of stress can range from simple digestive problems and headaches to anxiety attacks and clinical depression. If you are experiencing stress as a matter of routine, its time to take action now. While a job change, yoga, meditation or doing fun activities helps, you can also make use of essential oils to beat stress and anxiety. Let’s take a look at the role of essential oils in dealing with stress and anxiety. 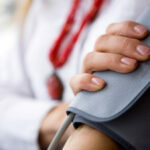 Can Anxiety Cause High Blood Pressure? When you are having an anxiety attack, your palms get sweaty, your heartbeat rises, your blood pressure goes up and you may even experience pain in your chest. Once the anxiety-causing situation passes, your heart rate slows down, blood pressure drops and chest pains disappear. The symptoms of anxiety disorder are often short-lived and harmless. But one big concern that most people have about anxiety is its link to high blood pressure or hypertension. Can anxiety cause high blood pressure? Let us examine the effects of anxiety on high blood pressure. Living with someone who is suffering from depression is not easy. You may not recognize who the person has become and may resort to unhealthy ways of dealing with them. For instance, you may be constantly advising the person, who most likely won’t take it; or you may find yourself walking on glass around the person because you are afraid you’ll make things worse; or you may simply ignore that the problem exists. Not knowing how to help someone with depression can quickly become frustrating and exhausting. It can destroy even the best of relationships. Stress and anxiety are a part of our everyday lives. While in most situations we can deal with stress, there are times when we let stress take over and interfere with our day to day functioning. The first step to de-stressing therefore is recognizing that you have a problem. Once you have accepted that, you can find ways to deal with it effectively. Different people deal with stress in different ways, but psychologists have classified the coping methods into two main categories – problem focused coping and emotion focused coping. Let’s take a closer look at both these coping strategies. According to Hindu philosophy, the Sanskrit term “Chakra” refers to “a spinning wheel.” It is often used in yoga and meditation to identify with the spinning wheels of energy in the body that directly influence a person’s well being. These chakras are identified with the major nerve centers and organs of the body. When the chakras are spinning just right, energy flows freely through the body allowing a person to enjoy the benefits of good health, creativity, joy, self confidence and purpose. Root chakra imbalance may lead to tiredness and fatigue, insecurity, boredom, and inability to complete tasks. Therefore it is essential to keep the chakras unblocked to lead a wholesome, healthy, and happy life. Root Chakra meditation techniques are used to energize the chakras located throughout the body. Today, its all too easy to live an unhealthy lifestyle; getting very little sleep, lacking in exercise, eating junk food and not spending enough time on yourself, resulting in stress and anxiety. Symptoms such as food cravings, insomnia, moodiness, fatigue that is not relieved by more sleep, increased belly fat, abdominal bloating, excessive sweating are signs that your liver is congested and needs cleansing. Detoxing is a great way to give our system a reboot and contrary to what most people think, detox doesn’t mean you deprive yourself of good food or take up weird foods. A yummy detox smoothie is just as good a way to purge yourself of all the bad stuff while pumping in all the essential vitamins and minerals your body needs. In this post, we share with you 10 yummy yet healthy detox smoothie recipes to help your body detox. Join our newsletter to get updates and our special deals. Unstress Yourself is a health and well-being site dedicated to helping you cope with stress, anxiety, and panic attacks with practical, motivating information that will help you take control of your life.